With the signing of running back Frank Gore, the Bills are planning to release Chris Ivory, according to ESPN's Adam Schefter. The Bills have not commented on the report. Releasing Ivory would save the team $2.15 million against the 2019 salary cap and will cost $750,000 in dead cap money. Ivory averaged just 3.3 yards per carry on 115 rushes last season, and has not averaged more than 3.8 yards per carry since the 2016 season. 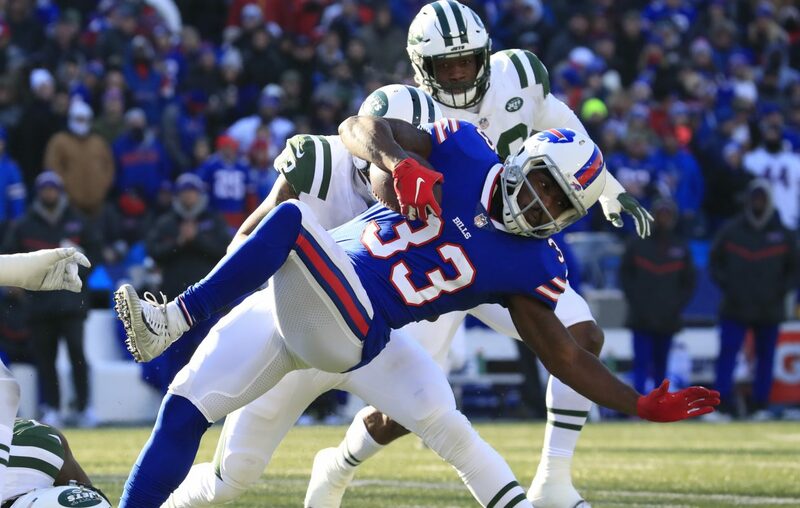 The Bills signed Ivory, who turned 31 last week, to a two-year contract worth $5.5 million with $2.5 million guaranteed. With Gore and LeSean McCoy, the Bills already had two running backs over 30. Gore and McCoy have a strong relationship and worked out together in Florida. The Bills also have Marcus Murphy and Keith Ford at the position.